Private Investors - Are you Compliant? The Securities and Exchange Commission (SEC) is sometimes seen as a black cloud and given a bad rap by some. We’ve even heard their name whispered with anxiety as if its name was Lord Voldemort or another feared villain. We’re not sure why. The SEC is not a hindrance to real estate investing companies and private investors. It’s actually an aide. Private investors in the United States need to understand about conformance with respect to investing and the SEC. Before we dive into this topic, please note that I am not a SEC attorney. The information herein is strictly for educational purposes. Should you want more information or counsel on securities, please contact the professionals! So who is the SEC and why are so many people afraid to talk about them? An agency which looks after private investors interests can’t be bad right? Those who think otherwise perhaps don’t understand the reason for their existence. Or perhaps they are non-compliant in some way either knowingly or unknowingly. We typically only hear about the SEC in the news after we hear they charged a company for running a Ponzi scheme or some other investment fraud. If you are considering investing in real estate as private investors you should familiarize yourself with the Securities and Exchange Commission agency. Here’s a little background information to help you understand their role and how it impacts you. If you want to be a private lender, it’s important to understand how to raise capital for real estate properly. In 2013 the SEC amended the safe-harbor found in Rule 506 of Regulation D. This allowed for general solicitation and general advertising so long as securities are only sold to accredited investors. Issuers must also take reasonable steps to verify that all purchasers are, in fact, accredited. An individual with income exceeding $200,000 in each of the two most recent years or joint income with a spouse exceeding $300,000 for those years and a reasonable expectation of the same income level in the current year. As a company that raises private capital to procure real estate, Simple Acquisitions takes handling private investors money very seriously. 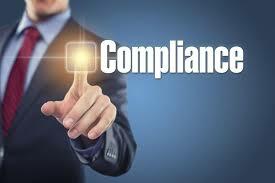 We are very diligent in ensuring compliance with Security Exchange Commission requirements. Our offers are not available to the general public. They are available only to those with accredited investor status. We know how to raise capital for real estate properly. Companies with the Rule 506 exemption do not have to register their offering of securities with the SEC, but must file what is known as a “Form D“ electronically after they first sell their securities. Form D is a short notice that includes the names and addresses of the company’s promoters, executive officers and directors, and some details about the offering. Potential private investors that partner with Simple Acquisitions are pre-screened and offered partnerships via a Private Placement Memorandum . It is a detailed disclosure document that speak to elements such as who we are, what we do, and what are the potential risks for lenders. Simple Acquisitions fits in under an exemption. We have done our homework and hired professionals to ensure we raise capital properly and that makes our private investors happy. You can’t be a respectable company if you don’t know how to raise capital for real estate properly. Trust is a huge factor which helps private investors determine with whom they decide to invest their hard earned money. By showing we are proactively complying with industry regulations , it helps to build that trust. That is very important to us. Short cuts are not the way to succeed in a business. Ensuring compliance where investor’s money is concerned certainly helps us sleep better at night. Choosing an investment company that is SEC complaint should help you sleep better as well. If you want to know more about how we raise capital for real estate then sign up for our Intro Video Series. It’s jammed pack with some great information! Take the FIRST step to getting your financial life in order once and for all. Discover how to use the KING of all investments, that will help you produce ongoing cash flow for you and your family.